This gentle 2 mile walk around Cookworthy Forest is based on well established forestry tracks. Although not waymarked the tracks are easy to follow. You can download the map here or pick up a copy from Cookworthy Forest Centre for 20p. Cookworthy Forest is open access for walking, cycling and horese riding, so there are many opportunities to get away from the well trodden routes. You may want to combine this circular walk with an orienteering route. 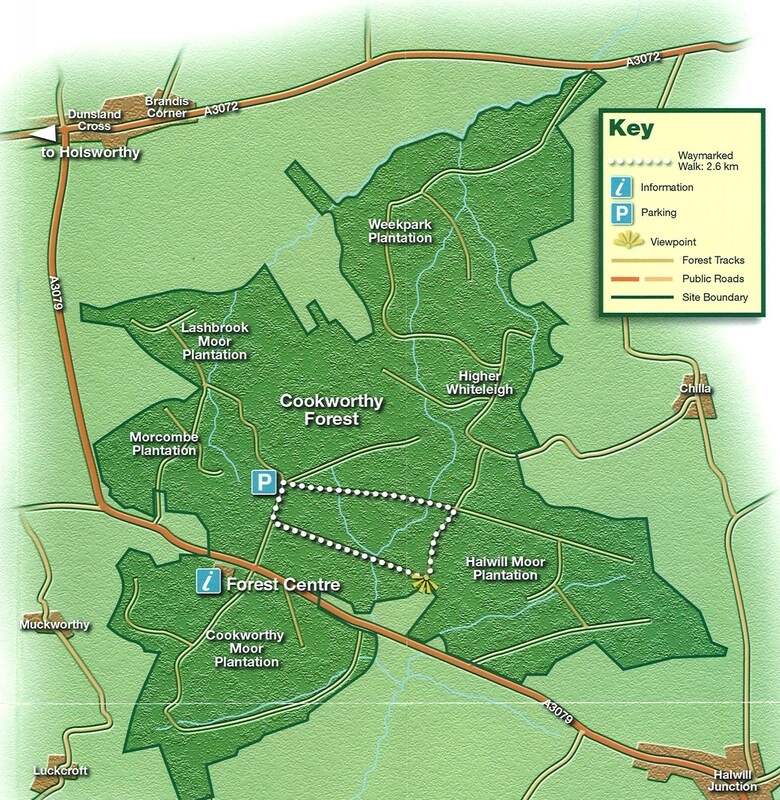 Maps can be purchased from Cookworthy Forest Centre. Precisely what I had been searching for over the internet. After undertaking several Online search, this article fixed my concern. Thanks a lot admin.